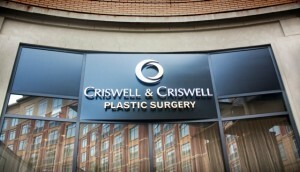 Criswell & Criswell Plastic Surgery is pleased to announce the opening of the second state-of-the-art plastic surgery center in the SouthPark area. The new center is located at 4310 Sharon Rd., Suite V02 and neighbors the SouthPark Mall. By opening the second location in the SouthPark area, Dr. Kara Criswell and Dr. Bryan Criswell, two of the highest trained, board certified plastic surgeons in North Carolina, have become more convenient for more patients throughout Charlotte and surrounding areas. Criswell & Criswell Plastic Surgery offers surgical and non-surgical procedures using the latest surgical techniques to offer patients the best-individualized care. Whether patients are looking for a male or female surgeon, English or Spanish-speaking, Dr. Kara Criswell and Dr. Bryan Criswell are both fully trained surgeons who specialize in cosmetic and plastic surgery and aim to help patients identify and reach each personal goal. Appointments at the Criswell & Criswell Plastic Surgery SouthPark location are available Monday through Thursday from 9 am to 5 pm and Friday from 9 am to 4 pm. The center is closed on weekends.